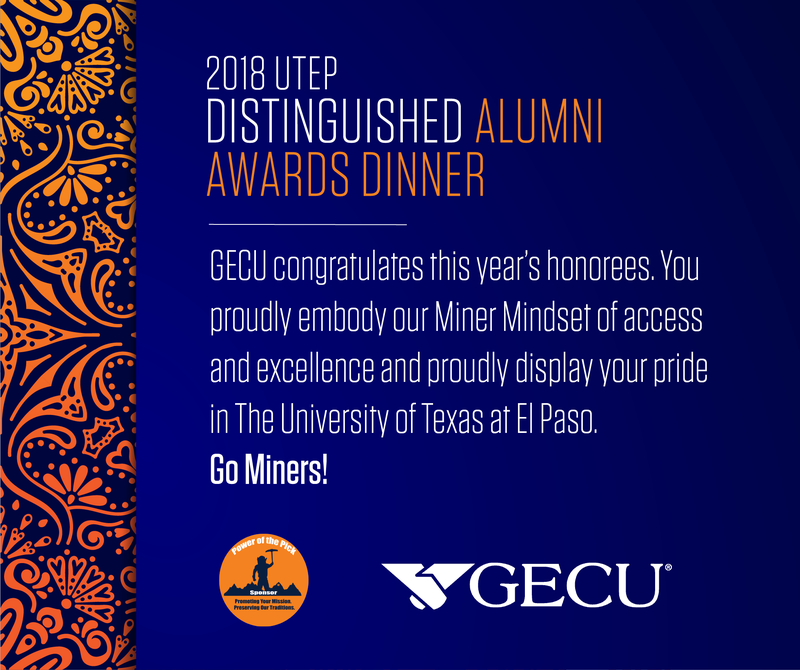 The 2018 Distinguished Alumni and Gold Nugget recipients will be recognized at the UTEP Distinguished Alumni Awards Dinner on Friday, October 5 at 6:30 p.m. at the Don Haskins Center. Tickets are $100 each. The format of the event is an open seating, networking cocktail dinner with a wide variety of food and dessert stations. The dress code is cocktail attire (suit & tie for men/cocktail dress or pantsuit for ladies). Parking is available inside the parking garage located on Glory Rd. and in the surrounding areas for a minimal fee. To view this year's honorees click on the links below. To purchase tickets, please scroll down. The deadline to purchase tickets online is Friday, September 28. Thereafter, please contact Mrs. Judy Heredia-Perry at 915-747-6361 by Wednesday, October 3. If you require additional information, please contact Mrs. Heredia-Perry by phone or via email at jheredia@utep.edu.